Most library patrons know by now that the Summit County Library has been growing its DVD collection for the past couple of years. In addition to the Academy Award-winning films, foreign flicks and travel DVDs, you can also get your groove on with music-related CDs too, including documentaries, live concerts and music festivals. The collection covers several genres of music from blues, bluegrass and Motown to good old rock and roll. “Rolling Stones in Exile” depicts the making of “Exile on Main Street,” taking viewers to the coast of France in 1971, where the Rolling Stones lived for a period of time after fleeing England due to tax issues. The DVD is a visual depiction of their time at the mansion, Nellcote, and the recording of the legendary album. “The Beatles Anthology” is a five-disc collection that serves as a history lesson for Beatles enthusiasts. The DVD contains interviews and historic performances of the “Fab 5.” A Motown treat, “Supreme Reflections” is a tribute to Diana Ross and the Supremes covering the years 1964-1969. The DVD consists of TV recordings of performances and includes a booklet of liner notes and a trivia track of interesting facts about the Supremes. Although summer is coming to a close, the festivals don’t have to be over. The library has the classic DVD of the original “Woodstock: 3 Days of Peace and Music,” a primarily historic look at the festival. 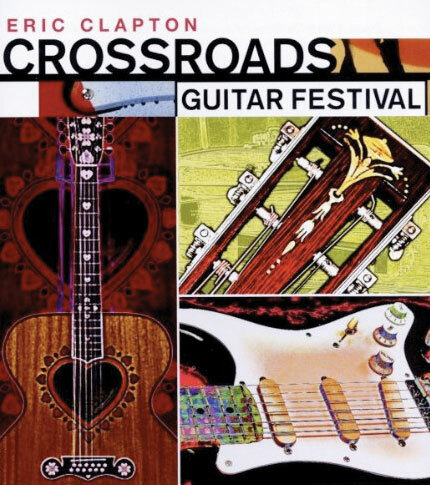 Eric Clapton’s “Crossroads Guitar Festival” is a guitar lover’s dream-come-true; it features performances from legendary artists such as Carlos Santana and Robert Randolph, and benefits the Crossroads Center. Let’s not forget the newest addition to the library, “Bonnaroo 2002.” This DVD includes an unforgettable performance of “Tallboy” by Dottie Peoples, The People’s Choice Choir and Widespread Panic. The festival lineup includes Trey Anastasio, Phil Lesh, Jack Johnson and Ween. The library has enough concert DVDs to get you through the winter and the collection of concerts is constantly growing. “Bluegrass Underground” is a live concert filmed and played in a cave in Tennessee with unreal scenery and even better music. Check out the classic “U2 Live at Red Rocks” and 2010’s “U2 360 under the Rose Dome,” or Bruce Springsteen, Rolling Stones, Dave Matthews Band, Phish and Widespread Panic. These are just few of the concerts you can view for free. Summit County Libraries can help you get your music fix whenever the mood strikes. The three locations – Silverthorne, Frisco and Breckenridge – all have different selections of discs; so stop in anywhere and check out the collections. Then plug those speakers into your large flatscreen TV and call your buddies; no ticket needed.